It is believed and argued by many archaeologists and historians that the area of Gujrat is from ancient times. This area is present since the times of Adam and Eva (Hadhrat Adam and Hadhrat Hava). It is also said that after Toofan-e-Nooh (Tsunami of Nuh), the area of Himaliya Mountains and Kashmir is the first place which came out from water. As the Gujrat is a neighbor district of Kashmir, so it has also very old civilization. Grave of Naqeeb Toosh is in Mota Village of Gujrat. And Grave of Sultan Qainoosh in Manawar Village of Gujrat. They were sons of Hadhrat Yusaf (a.s.). Grave of Filsanosh in Chhamb and grave of Salwadosh in Deva village of Gujrat. They are the sons of Hadhrat Daoud (a.s.). 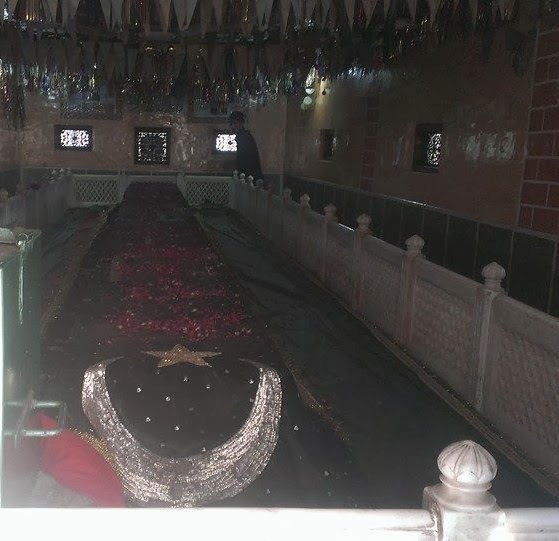 Grave of grandson of Hadhrat Yousaf (a.s.) in Shaikh Choghani (Chogani) Gujrat. There are many other graves, tombs and shrines in Gujrat. Several books on this topic has been written and published. Haji M. Zaman Khokhar Advocate has done a lot of research on these ancient graves and wrote a number of books on this topic. He has done tremendous work in this manner. I think that nothing can be said for quite certain that either all these graves belong to those pious people or not. They may or may not but I think that building shrines on such graves is still not permissible in Islam.